Jack Purcell Old Silver Sneaker ($85). 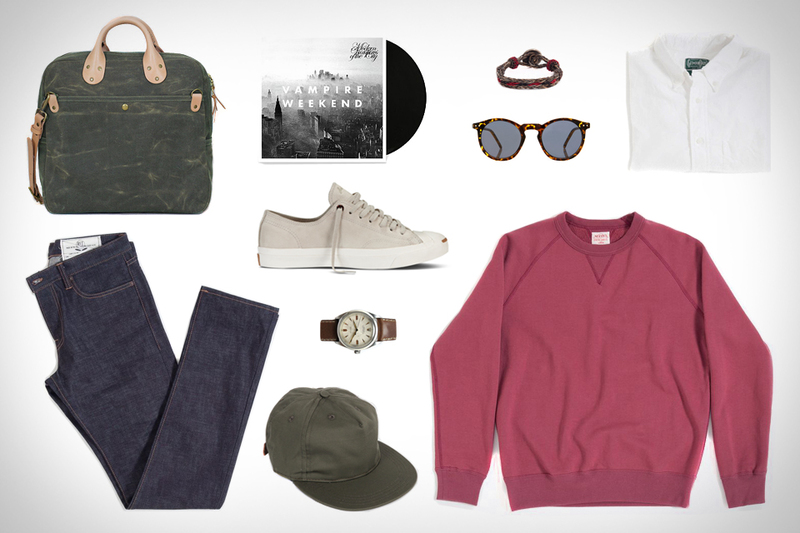 The Real McCoy's Double-V Sweatshirt ($180). Rogue Territory SK Skinny Raw Jeans ($220). Gitman Vintage Oxford Shirt ($165). PAA The Pleat Cap ($70). Chamula Concho Bracelet ($40). Winter Session Day Bag ($295). American Deadstock O'Malley Sunglasses ($15). Vampire Weekend LP ($19). Rolex SS Pre Explorer Watch ($7,850).